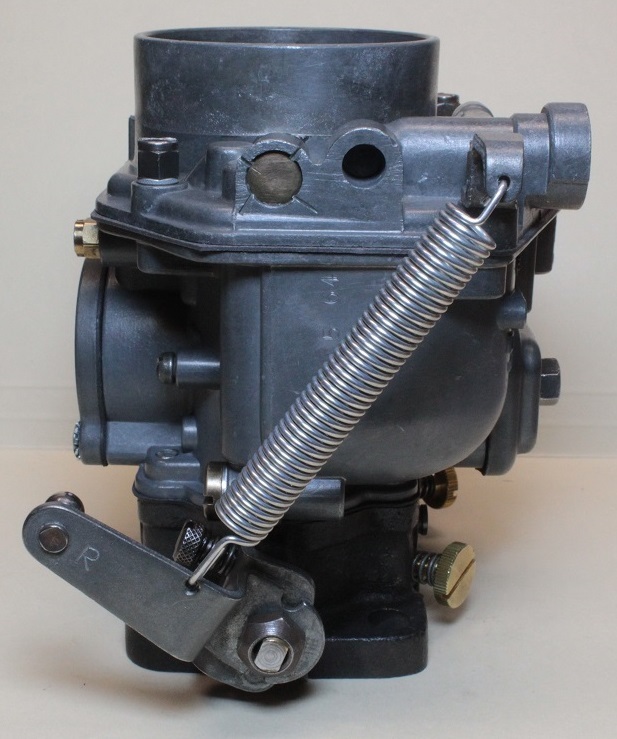 Zenith 32NDIX and Solex 40 PII-4 carburetor rebuilding for early Porsche 1600 motors and a large selection of parts and rebuilt date pairs available. To Rebuild or to Restore your Old Carbs? The clean and rebuild process concentrates on thorough cleaning and returning mechanical function to factory (or modified) performance. Additional restoration can address the cosmetic appearance as well, bringing carburetors to a show ready level. Our clean and rebuild process delivers mechanical performance to original factory levels, leading to optimum performance and eliminating lagging, leaking and other poor running problems. The process includes complete dismantling with internal and external cleaning of the carburetor base, top, and throttle body. Hardware is cleaned or replaced as needed. New butterflies are fitted, aligned, and tested. 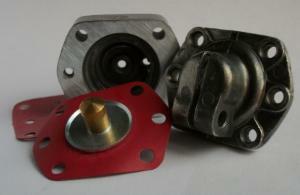 Solex throats are re-bored and throttle bodies are re-bushed as necessary to eliminate plate and shaft leaks. Mating surfaces and jet covers are trued and flattened. Jets are cleaned and sized or replaced as necessary. All passages are cleaned and threads are chased. Gaskets, washers, and seals are replaced with new as are the float valve and the accelerator pump or diaphragms. 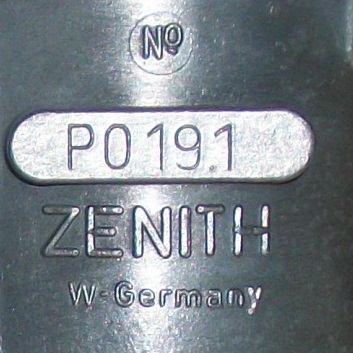 Zenith accelerator pump link arms are straightened, repaired, or replaced as necessary. Float level, accelerator pump volume, and initial idle mixture are set. Tops and cover plates are leak tested. 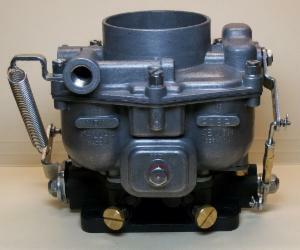 Carburetors are jetted and adjusted to the factory specifications or to other settings if desired. Installation and final tuning instructions are provided. Clean and rebuild turn around time can be as quick as two to three weeks. Costs for cleaning and rebuilding can be found on the Prices page. Our restoration process adds steps to the rebuilding process to bring the carburetor's appearance and parts finish to like-new condition. This involves resurfacing all screw heads and fasteners and zinc plating all hardware. Both clear plating (for 356) or yellow plating (for 912) are available. Zinc alloy bodies and tops are brightened. Zenith throttle bodies are stripped, acid primed and painted. The result is a show-ready set of carburetors. 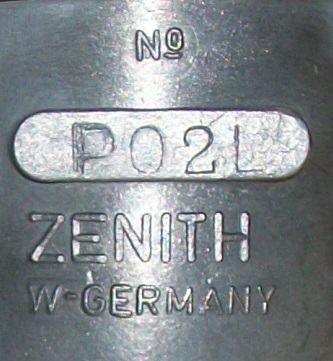 The additional costs for full Zenith and Solex restoration are on the Prices page. The fully restored Zenith 32NDIX pair below is a date matched PO3L/R set. 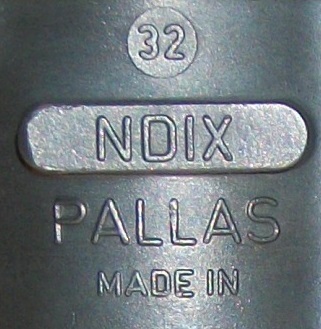 This early pair is labeled PALLAS, the manufacturer until 1958 when replaced by the DVG marking (Deutsche Vergaser-Gesellschaft). 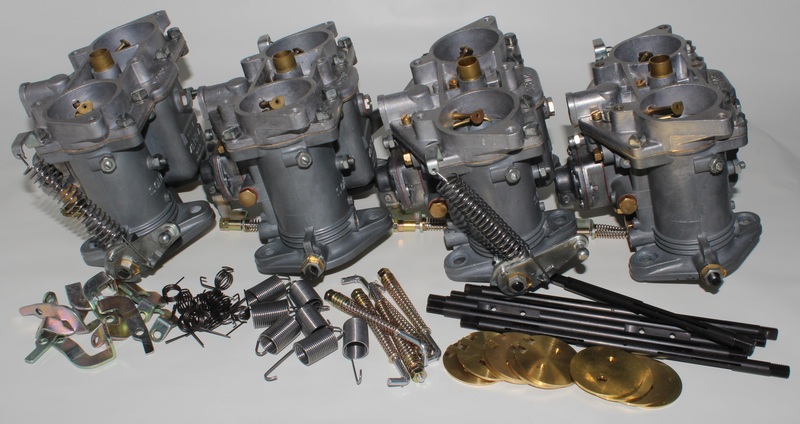 These carburetors have gone through the full rebuild and restoration process. The fully restored Solex 40 PII pair shown below are solid shaft type carburetors that have gone through a complete rebuild and restoration process. All carburetors are tested for leaks, float level, accelerator pump volume, and throttle plate matching. 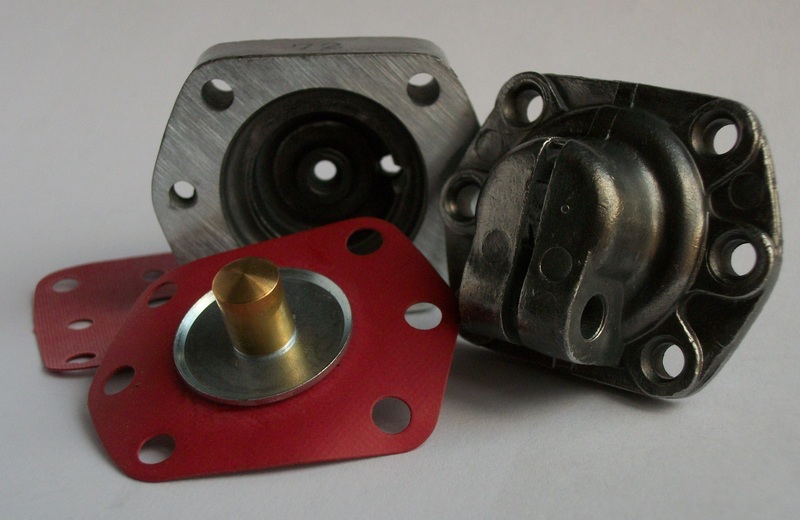 Surface machining of carburetor bases ensure flat mating surfaces. Throats have been re-bored to 41mm and new throttle plates fitted. The base has also been re-bushed for new throttle shafts. Accelerator pump hardware is replaced with all new parts. Zinc alloy bodies are cleaned and other hardware is repaired and re-plated. The Zenith 32NDIX carburetor below has been fully cleaned and rebuilt to function at factory specifications. The zinc-alloy top and bottom have been cleaned inside and out. New rebuild parts have been installed and the carburetor has been tested and calibrated. All hardware and the throttle base have been surface cleaned of corrosion but are not replated or refinished. 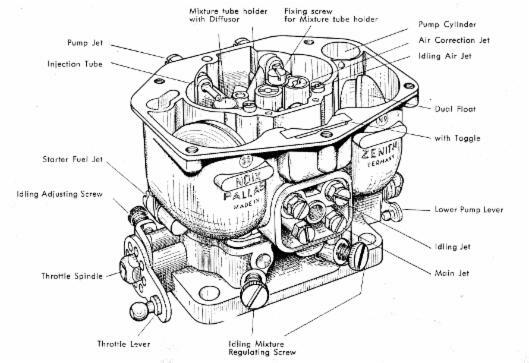 The main components of Solex 40 PII-4 twin throat carburetors are shown below. The main body (8) consists of two 40mm induction barrels with independent idle and power metering circuits. 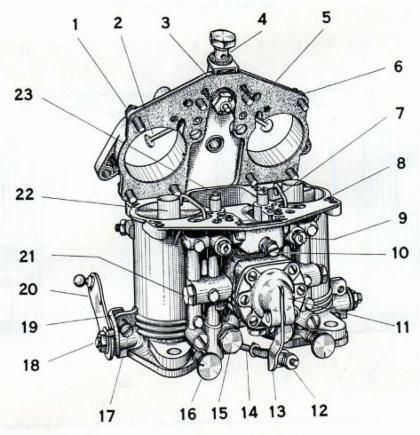 The throttle shaft (18) and plates pass through the main body, controlled by the throttle arm (20) specific for left and right hand carburetors. The accelerator pump (11) is common to both barrels and is actuated by an pump rod (14) linked to the throttle shaft. 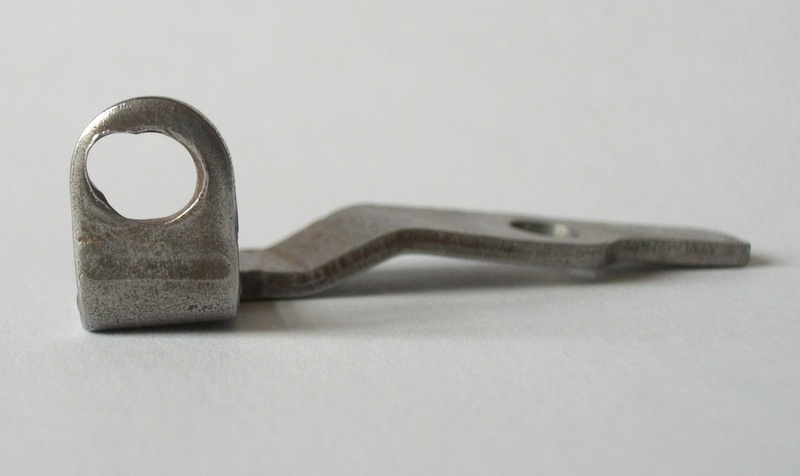 The throttle shaft and throttle plates (butterflies) are integral to the zinc alloy body and, because of this, they wear at any points of contact with the soft metal. A common problem is slop and leaking at the throttle plates and around the throttle shaft, preventing proper idle adjustment. Repair requires re-boring the throats and replacing plates with new ones that are oversized from the originals. New brass plates cut to factory specifications ensure a proper fit. Re-bushing for the throttle shafts also eliminates play and leaking at all shaft contact points. 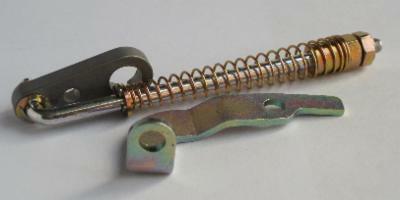 The accelerator pump lever will wear at the contact point with the rod and its adjuster. This creates slop in the accelerator pump setting, resulting in loss of the control of the delivered volume. 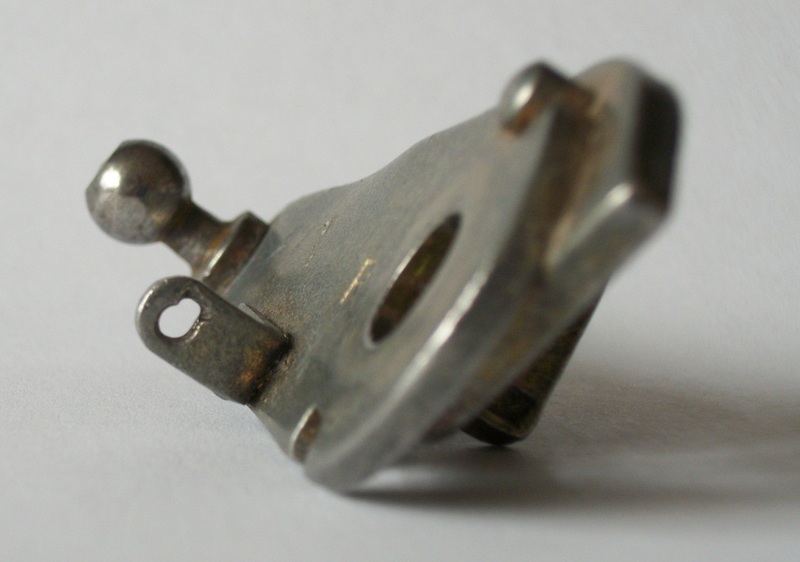 Repair or replacement of the lever is often needed. 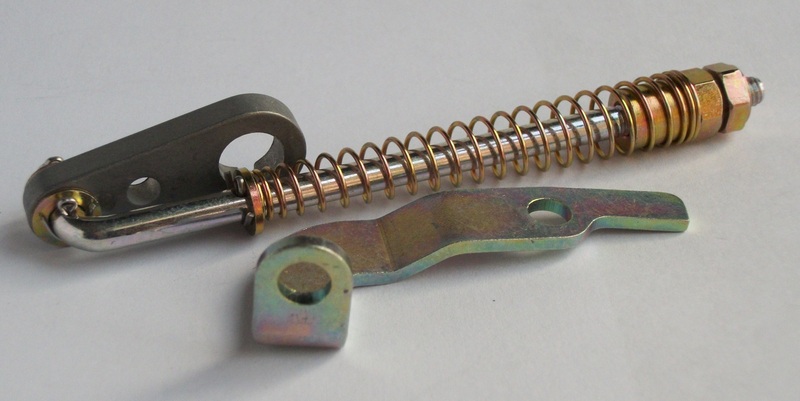 The throttle return spring connection at the throttle arm will wear through, leading to failure of the return spring. Repairing the throttle lever is required. The accelerator pump cover can be warped from over tightening, leading to leaks at the gasket and diaphragm. Flattening of warped mating surfaces is necessary before re-assembly. 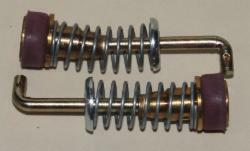 Corrosion of the throttle shafts and/or plate retaining screws can prevent the removal of the shafts without damage. Replacement or repair is often necessary. Modifications made throughout the years are seldom good. Shortcuts or make-do fixes need to be brought back to factory specs. 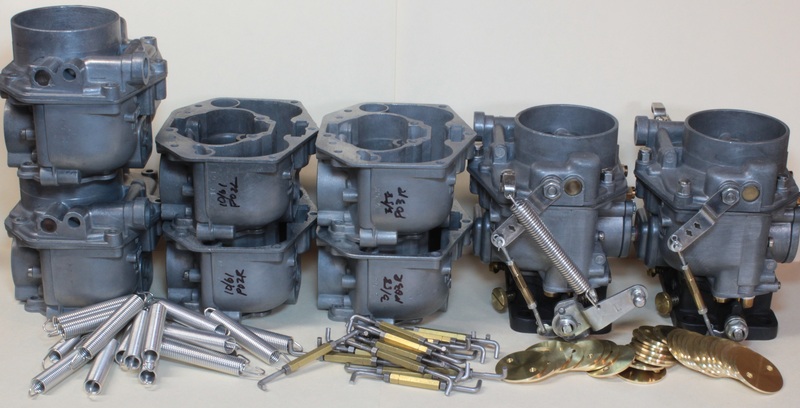 for these carburetors to perform well. Assessing the needs of Solex carburetors involves more than re-assembly with a standard rebuild kit. After 50+ years, many of the parts may have lived out their normal lifetime. 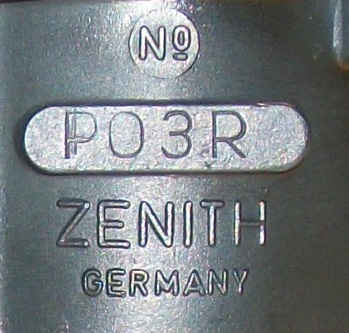 The main components of the Zenith 32NDIX are shown below, together with a table of corresponding parts and jets for 1600 Normal (PO3), 1600 Super (PO2), and 356 1600C (PO19) series carburetors. 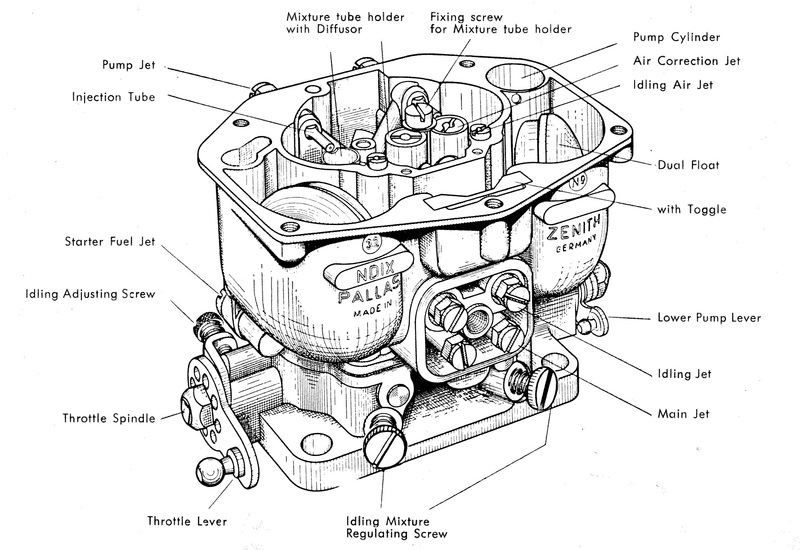 The Zenith carburetor company was formed in 1909 from a collaboration between the Rochet-Scheider company in France and inventor Francois Bavery. 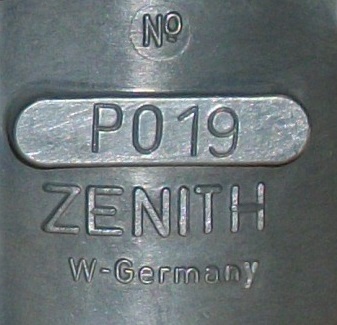 PALLAS and later Duetsche Vergaser Gessellschraft (meaning German Carburetor Society and abbreviated DVG) purchased licenses to manufacture Zenith carburetors. The changeover in manufacturing between PALLAS and DVG occurred in 1958 and both manufactured carburetors used in Porsches that year. 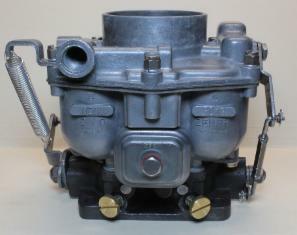 Zenith 32NDIX carburetors were also built for various other car, tractor, and truck motors. 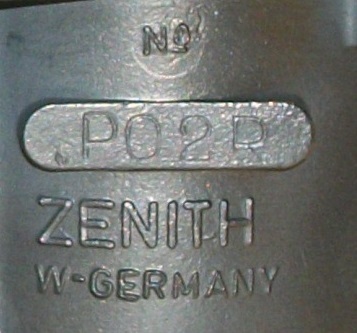 The PO2, PO3, and PO19 designations were used exclusively on Porsche carburetors while other variants were configured for other motors. The replacement of jets, choke plates, throttle bases, throttle shafts, accelerator link arms, and other parts is necessary if non-Porsche 32NDIX carburetors are used in a Porsche1600 motor. 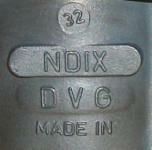 32NDIX carburetors were also date stamped on the left side of the ZAMAK (zinc-alloy) casting. 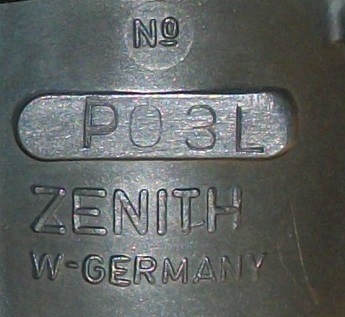 Carburetor date stamps would have been close to the dates stamped on other parts, and within about three months of the final production date of the car. For example, a car with a production completion date of June 1960 may have had original carburetors from March, April, May or June. 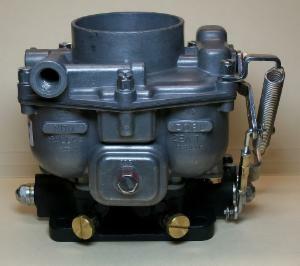 Matching date coded carburetors to a particular car is difficult but this three month window can reduce the challenge. After time, the throttle plates (butterflies) in Zenith throttle bodies will wear out-of-round from contact with the body sidewalls. This can create air leaks at the edges of the plates that can't be eliminated with simple adjustment. Zenith carburetor rebuilding should include replacement of the throttle plates in most cases. Proper idle will be difficult to achieve without doing so. CFI replaces butterfly plates in all Zenith rebuilds and also sells individual replacement plates. Set screws are also available, which should be fastened with a threadlocking compound. 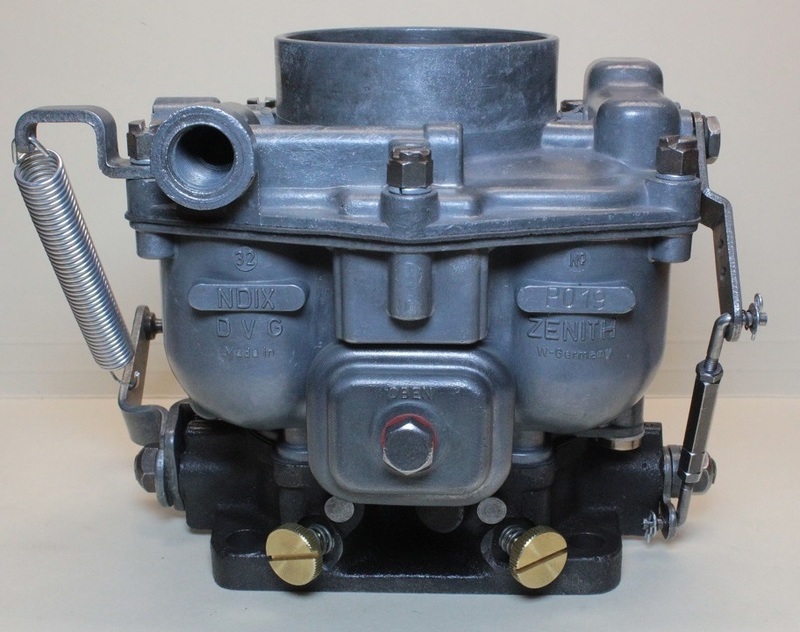 Standard vendors supply rebuild kits for Zenith 32NDIX carburetors from Walker and Royze. These kits are decent quality and made specifically for 32NDIX Zeniths. 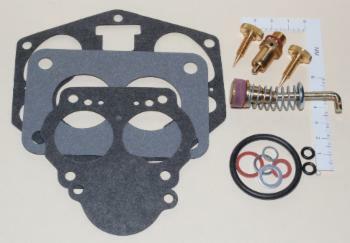 Both kit types include gaskets, washers, o-rings, idle mixture screws, a float valve, and an accelerator pump. Cheaper bug rebuild kits of unknown origin usually don't contain a pump and should be avoided. The sealing washers in most kits are both fiber and metal. Either type can be used but it's good to also save original washers and use the best of those and new ones as needed. CFI sources these and other rebuild parts from US and European suppliers, which are better quality than some found in standard rebuild kits. 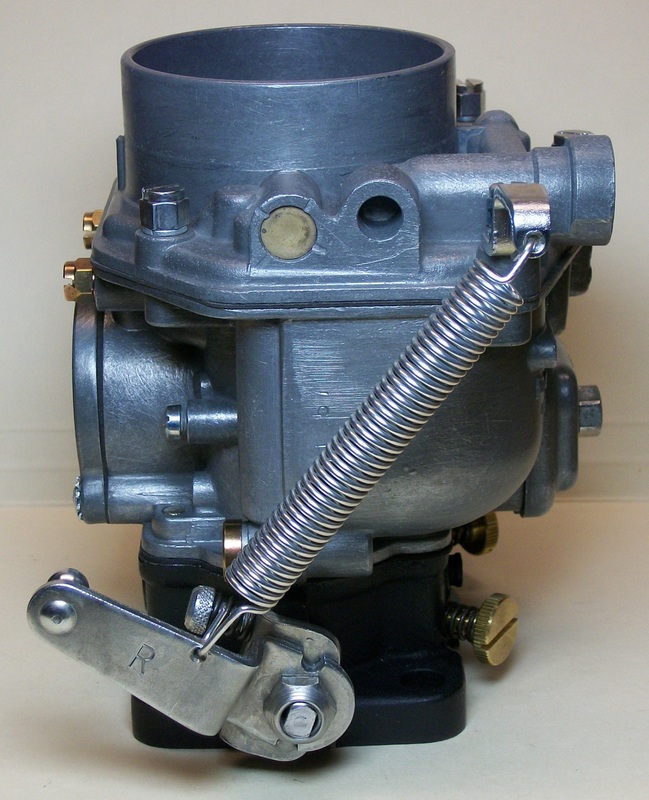 Always use matching accelerator pump types as mixing between a pair of carburetors will make matching the pump volumes difficult. The accelerator pump volumes for a pair of carburetors need to match. This is adjusted by the length of the accelerator pump link arm and also by matching the pumps. After time, the pump cylinders in the carburetor bodies can corrode and cause problems with the pump piston. 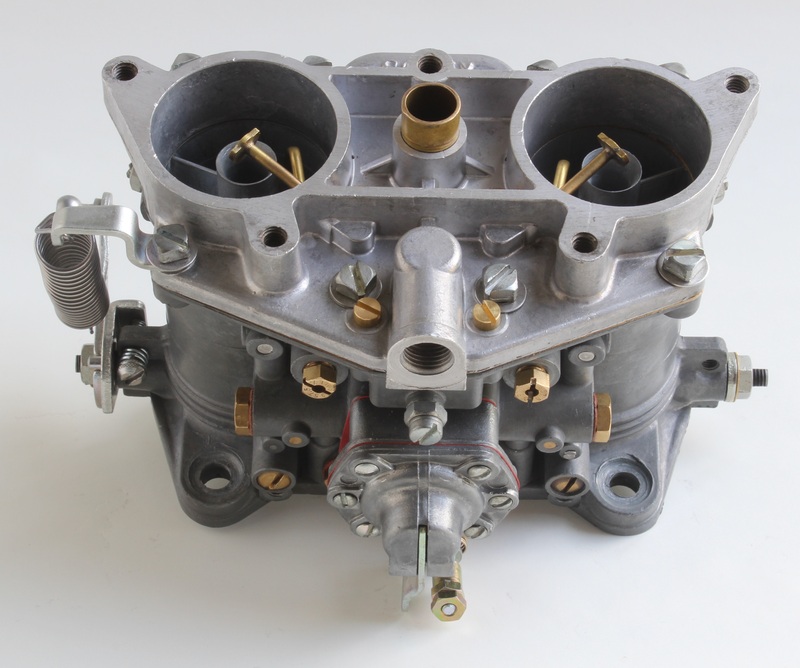 When rebuilding carburetors, cylinder walls should be clean and smooth. Also, a new accelerator pump with a new leather piston sheath will need to absorb some fuel before it will provide a good seal. When setting pump volume, fuel should remain in the float bowl and pump cylinder for a few minutes beforehand. Careful attention needs to be paid to these components, with measurement and matching of fuel delivery based on the factory instructions of 0.2 to 0.3 ml in two full strokes. Replacement float valves are usually gauged with 1.25mm orifices. A ball valve at the end enables smooth movement over the lever assembly on the floats. Needle valves in Walker and Royze kits are usually good quality but should be tested as a standard step in the rebuild process. CFI also supplies new float needle valves of original design with 1.25 and 1.5 mm orifices. An article describing float valve flow testing results can be found here. 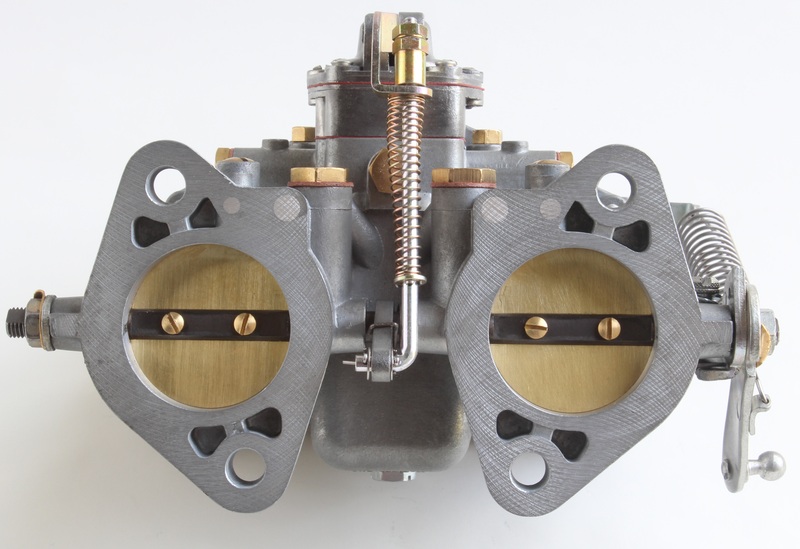 Over-tightening of the screws in zinc alloy carburetor bodies will distort the casting and strip threads. 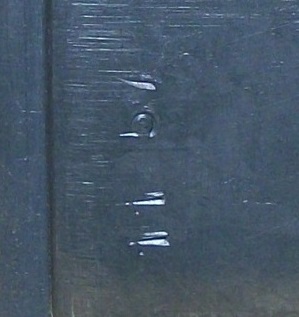 Fifty years of use (or abuse) will often lead to some degree of damage. Mating surfaces should always be checked for flatness and corrected before assembly. There are several methods to repair stripped threads, including Helicoils or filling/drilling/tapping. A good fill material for zinc alloy is Muggy Weld Super Alloy for pot metal repair. 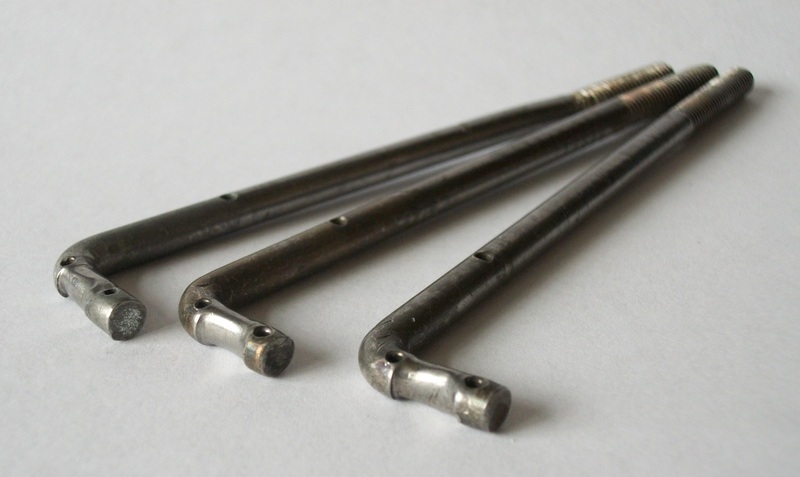 These repair rods melt at a temperature of 350° using a propane or butane torch and make for a relatively easy fix. The ports and channels in the throttle bodies need to be clean and free of any debris. This can be done using compressed air and by clearing with a piece of thin (20-22 ga) solid copper wire. Threads should be clear and throats should be clean and smooth. Shaft bores should be smooth and excess corrosion may warrant replacing the entire body. 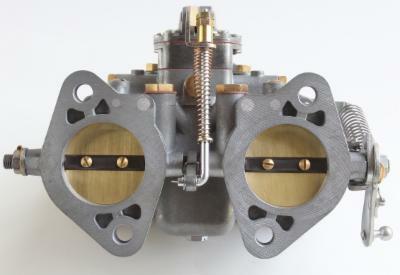 Throttle bodies were originally Parkerized (phosphated) black prior to final machining and then oiled. 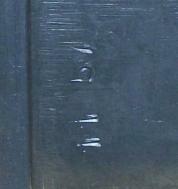 Renewing this coating can be done with a brush-on phosphate treatment but painting will offer better protection. Hot phosphating the parts during the manufacturing process was less involved than painting but left the bodies more susceptible to rust, as time has shown. Since operating temperatures do not exceed the limits of spray enamel, engine paint is not necessary. Good results can be achieved with rust removal followed by priming with an acid etch-primer and several top coats of flat black enamel. Thorough cleaning of zinc alloy (ZAMAK) bodies is the first step in carburetor rebuilding. A detailed article describing ZAMAK cleaning can be found here. Jets should be cleaned and sized as needed. A detailed article describing the process can be found here. * A description of the ZAMAK cleaning process can be found in the article on Cleaning Zinc Alloy Fuel Bodies in the March/April 2014 issue of the Porsche 356 Registry magazine. Copyright © 2012-2019 Carbs-Fuel-Ignition (CFI) - Trademark names Bosch, Porsche, and others are for reference purposes only.